"All grown-ups were once children... but only few of them remember it." - Please vote for a LEGO version of the wonderful story "The Little Prince" ("Le Petit Prince"), by Antoine de Saint-Exupery (copyright held by the Antoine de Saint-Exupery Estate 2014). 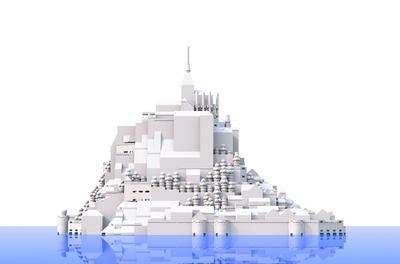 If you are new here, this LEGO Cuusoo website is an official LEGO site where LEGO fans can submit projects for consideration. 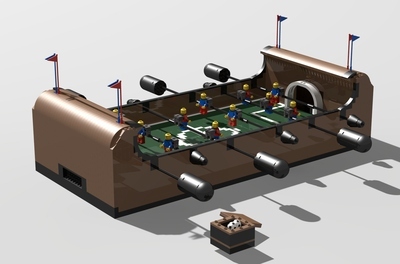 If the project gets enough votes (SUPPORT), then LEGO will consider making an official set based on the proposal. 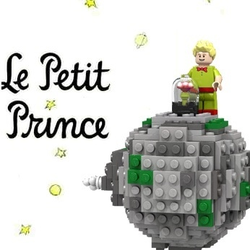 To help make The Little Prince a LEGO reality, please share the project on FB and Twitter, and tell your friends. Thank you!!! ESPAÑOL: Para votar por una versión LEGO de "El Principito", selecciona "Support" y sigue las instrucciones para registrar/votar: http://www.elprincipito.com/el-principito-necesita-tu-ayuda-para-convertirs.... Esto tomará sólo un minuto. ENGLISH: To vote for a LEGO version of "The Little Prince," click "Support" and follow the instructions to register/vote. The easiest way to register is through Facebook or Twitter. This will take just a minute. 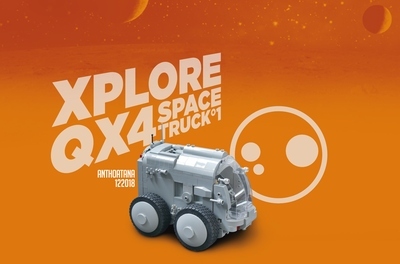 For more information, click here: http://www.thelittleprince.com/a-lego-little-prince-with-your-help-its-poss.... You won't get any spam or unwanted emails from LEGO. You can also register with your email. When you do that, you'll get an email to confirm you aren't a robot (! ), so click on that link to go in, and answer a few brief questions. You can then click "Support" and you'll be asked to briefly indicate how much you think such a set should cost and why you like it. There is no obligation to make a future purchase. If you have to search for the project, use the search function at the top right and enter "The Little Prince". Please also leave a comment! I do reply to all comments. THANKS!!! MERCI BEAUCOUP to TheLittlePrince.com and its different language websites and Facebook pages (with over 7 million fans) for all of your support! The Antoine de Saint-Exupery Estate is supporting this project and has been incredibly helpful. The Little Prince is (c) the Antoine de Saint-Exupery Estate 2014. Here is the Breguet 14 that Saint-Ex flew (the airplane he is most famous for flying). ”It is only with the heart that one can see rightly; what is essential is invisible to the eye." -Saint-Exupery. This is my 1st submission to Cuusoo. The Little Prince would make a wonderful Lego set because it is a timeless classic enjoyed by children and adults all over the world. The story was first published 70 years ago, in 1943, and there are over 2 million copies sold each year (with the total over 400 million). It has the world record as the most translated novel in the world (over 280 translations so far - and let's translate it into LEGO together!). This would make a great gift item for adults and children, and would be something that some of TLG's bookseller partners (for example, Barnes and Noble) could market as well in conjunction with the book. "All grown ups were once children... but only a few of them remember it" wrote Saint-Exupery, but I think that AFOLs are some of the few that do. THE LITTLE PRINCE: We would likely need to decide on one of two versions - 1) the iconic version used on the cover for many editions (green pants, green shirt with buttons and red bow tie, red belt) or 2) the image with the cape and sword - "the best portrait" - that the narrator drew of him. Ideally the hair would be the same as the male tennis player CMF, and the sword for the second version would use the "Three Musketeer" CMF sword. For the 2nd version, rather than creating a new textile robe, it would be easier to simply have him wear a blue and a red cape together. ASTEROID B-612: Based on the December 2013 guidance from Cuusoo, I adjusted this description. For the asteroid, I'd either 1) use a base plate and half the asteroid coming out of it, using curved pieces that are already in the Lego supply, or 2) use pieces to make a "ball" out of Legos (see main image above). This would include the rose (with glass globe), a sheep (there is now a LEGO Friends sheep), a chair, other flowers, and - of course - volcanoes to be affixed to the asteroid. A black (or preferably dark blue) background with white or yellow "stars" as a base would complete this part. AIRPLANE: Saint-Exupery crashed in the desert in real life, and that partly inspired the novel. The narrator of the story is working on his downed airplane when he first meets The Little Prince, so it makes sense to include the him (St.-Ex) and the airplane. The airplane would include tools and food. There are other sections of the book that could be imagined in Lego form as well (and it would be good to have a fox - hopefully the Friends animal line will come out with one soon), but I think the two main scenes would be the asteroid and the airplane (or have one scene that combines them both - we are working on that). To be consistent with the new Cuusoo guidelines, my proposal is to have A) The Little Prince minifigure, B) the Asteroid B-612, and C) Antoine de Saint-Exupery with his airplane. I hope this proposal brings a smile to your face and that you find it to be "unique in all the world". Here is a version of B-612 on a base plate. Note the rose under glass, the volcanoes, and the stars. Another view of the Breguet 14. This is a two-seater. There is cargo space where I've placed a bottle of wine, a goblet, a croissant, and some cheese, and another space for a tool box and a wrench (to fix the plane when it crashes). If you came across this project a couple months ago, here's what you would have seen for the designs. Note the two Lego recreations of the narrator's "best portrait" of the Little Prince (from Chapter 2). This would be paired up with the Saint-Exupery and his airplane. I used Luke Skywalker's head and shirt, two capes, the CMF tennis player's hair, and the CMF Musketeer's sword. Ideally he'd have the short capes like those used for Hobbit sets and of course his own Minifigure details (such as purple boots rather than completely purple legs).